How Many Leads Does Your Business Regularly Lose? Home/Blog/Marketing Tips/How Many Leads Does Your Business Regularly Lose? Leads are so vital in determining the success of a business over time. Today, when most leads are realized through the internet and social media, most businesses are losing a huge number of leads regularly because they don’t know how to tap them effectively. And to make it worse, most of these businesses are losing these leads without even realizing that they are doing so. It is very unfortunate when a customer gets online and searches for a local service you provide and doesn’t find you simply because you either don’t have a website or, if you have one, it is not locally optimized on search engines. 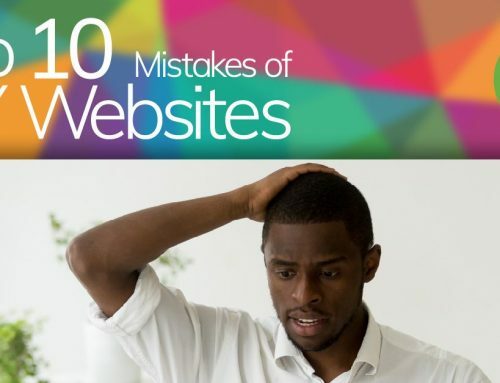 On the other hand, you could have a website that is locally optimized but with very poor user-friendliness, prompting a potential lead not to trust or get attracted to your business and hence exit your website. Here are several problems that could be the greatest contributors to your businesses’ loss of leads. In this age and era, if your business does not have a website, it’s likely that businesses are losing many leads to your competitors. When people today discover they have roof damage in their home, they begin to resolve the issue by conducting a search online to see reviews and get recommendations to the best companies offering either near them. Without a website, potential customers will only find your competitors on the internet and most likely become their customers. You definitely don’t want that. Get a website running for your business and as long as it is well optimized, traffic and potential leads will come rolling your way. On the internet, the adage “first impressions matter a lot” also applies. If your website doesn’t look appealing at all, most leads will just leave in a matter of minutes. It is important to note that a website is your online marketing gun; and if it isn’t well loaded, there is no way you are going to win leads. A subpar or glitchy website makes potential leads lose trust in your ability to deliver, while an outstanding website does the talking for your brand and prompts many leads to subscribe to your service. A subpar website is one with an unfriendly user experience, is slow, poorly organized, and has a poor customer support system. Search engine optimization is the ultimate way to rank high in search engines such as Google, which in turn boosts traffic flowing to your website. In simple terms, more traffic to your website equals higher leads. Customers mostly go with the companies at the top of the rankings, hence the importance of having your website among the top if you want higher leads coming your way. If you are not optimizing your website for a higher ranking in search engines, then potential customers will find your competitors at the top of the ranking when they make a service/product search, and most likely opt to go with them. This means your competitors get the leads. Not having social media presence is also a reason why your business may be losing very many leads regularly. The largest percentage of the world’s population is on social media today and therefore you can’t afford to miss out on all the potential leads available within this platform. A great example of how to put your business on social media through social media marketing and attract many leads is using mediums such as the “Facebook sponsored ads.” Such ads make your brand known to a large population and potential customers are likely to follow you and become your customers. The number of mobile internet users is ever-growing, with projections indicating that it will soon exceed that of traditional computer and laptop internet users. As such, having a mobile-friendly business website is key in reaching that large number of mobile internet users and turning them into leads. Without one, your business loses those leads to competitors with mobile-friendly websites. Businesses that have managed to fix these issues have ultimately outdone their competition and taken the leads for themselves. They are therefore always getting the larger piece of the pie. Many businesses in areas such as roofing haven’t yet adopted these strategies, so those who get ahead of the pack are setting themselves up for the future.